So….. the penultimate piece of upgrade work planned for the DR environment is the upgrade of vCenter Operations Manager from 5.6 to 5.7. 1. 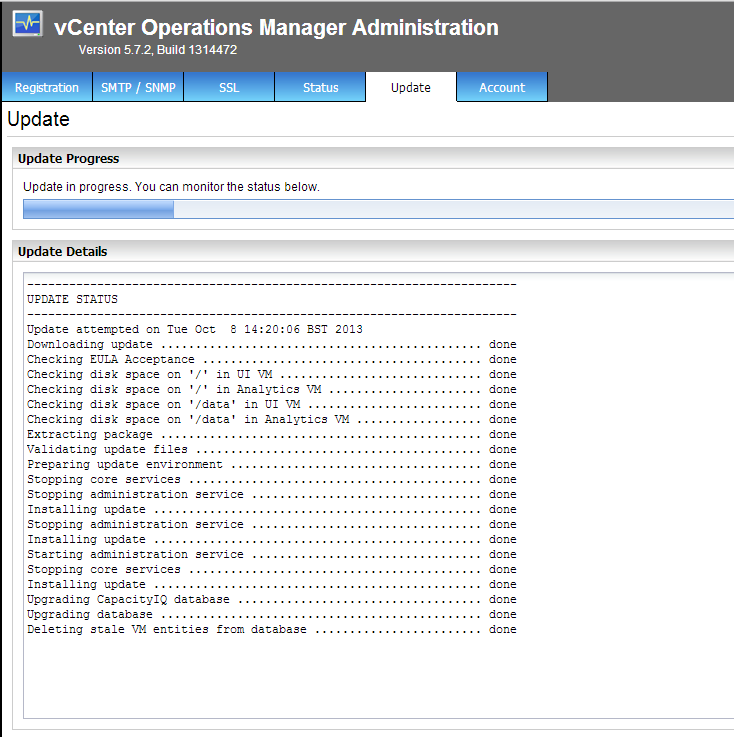 Navigate to the admin page of vCenter Operations Manager and click on the Update tab. 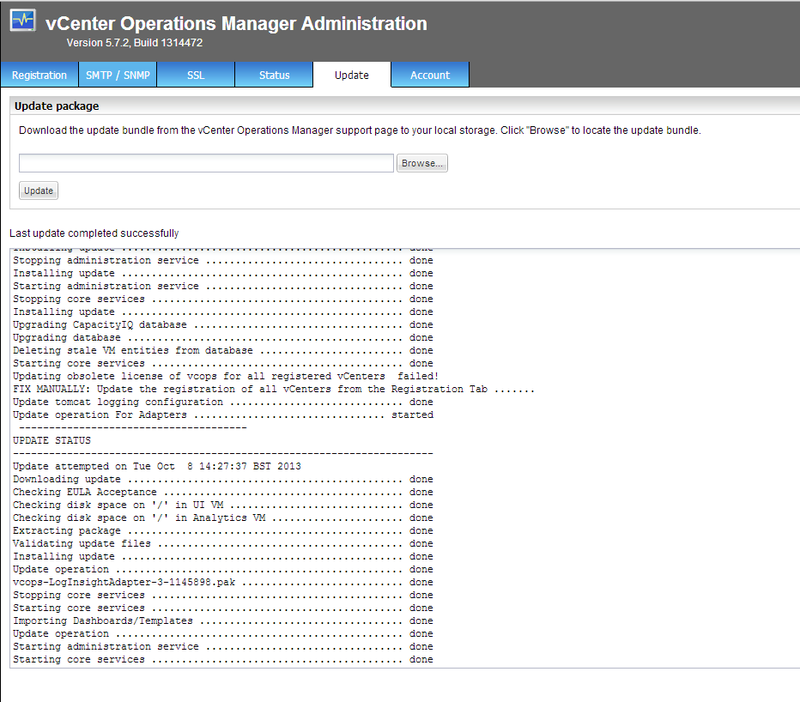 Click Browse and locate the vCOPs zipped upgrade bundle. 2. Wait for the file to unpack and upload. 3. Click Update to start the update process. 4. Click OK to proceed with the update. 5. Watch the update, or grab a cup of tea! 6. Once complete, reboot the appliance. 7. 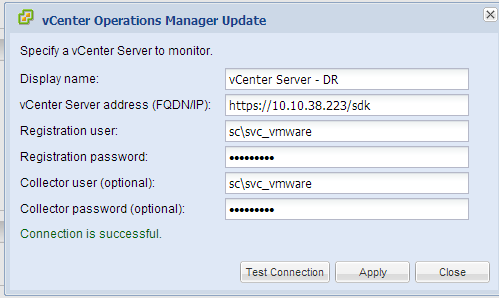 You may find that the registration of vCOPs to the linked vCenter Server will require updating. To do this browse to the Registration tab and click Update under vCenter Server Registration. 8. Enter the vCenter Server details and click Test Connection. If successful, click Apply. 9. 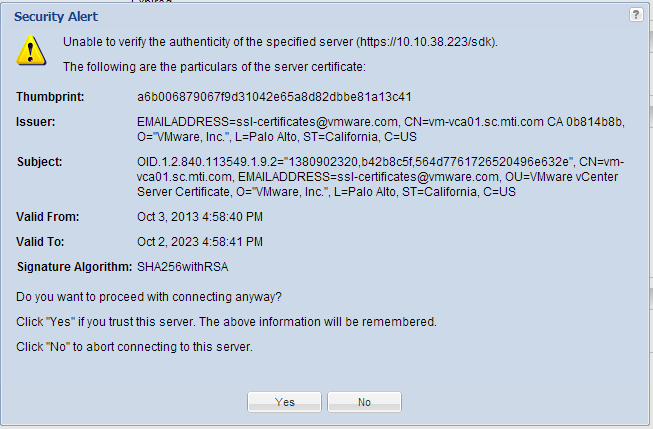 Accept the security alert that moans about the SSL certificate not being trusted – this is the new SSL certificate that was generated when I upgraded my vCenter Server Appliance. 10. Reboot the appliance and Bob’s your uncle….. it should be up and running the latest version!